We all know how much you love cats. Nine out of ten things on your holiday wish list are likely feline-related, you feel like Taylor Swift is a kindred spirit, and watching Lil Bub climb stairs may or may not have made you feel all the feels. But what if your favorite form of Internet procrastination could actually be doing some good? 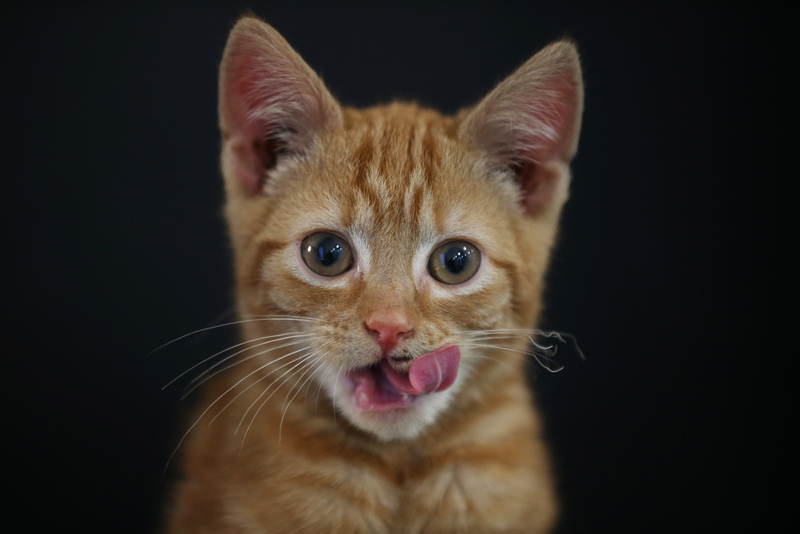 What if you could help fight cancer ... simply by watching cat videos? Well, thanks to the new non-profit website, Cats vs Cancer, that farfetched dream is now a reality. That's right: you can indulge in your cute cat obsession while effortlessly raising money for cancer research. Created by Georgetown University graduates Tom O’Connor and Eddie Peña, the quirky new site Cats vs Cancer curates all of your favorite cat photos, memes, and videos from around the web in one place; digging through the overwhelming amount of feline fun, and finding the best of the best so you don’t have to. "We want to become THE cat-focused entertainment destination on the web. And by doing so, we will also take reign as the coolest, most fun, and entertaining charity on the face of the planet"
So how do they pick the videos? O'Connor and Peña say they scour high and low for the best cat-related content on the Internet to feature. (Tough job, but someone's gotta do it.) Although plenty of sites have great, shareable content available, there's more to curating it than hitting up Buzzfeed Animals. The two work together to find unique, off-beat images and videos to feature. "Sometimes it's fun just to think of a random word and type it into YouTube with the word cat next to it," O'Connor tells Bustle. "More likely than not you're bound to find something that will make you laugh." O’Connor came up with the idea in 2012, after he says he realized that there are two things that everyone loves: helping other people, and cats. Surely, there had to be a way to combine the two without asking too much of viewers. “We know everyone is watching cat videos, even if they say they aren't. Look at the guy next to you at the office. When you're not looking, he's watching cat videos, I guarantee it,” O’Connor tells Bustle. Of course, helping other people and having fun while doing it is nothing new — just look at the success of this summer’s Ice Bucket Challenge. But Cats vs Cancer doesn’t need you to dump a bucket of ice water on your head. All you have to do to contribute is visit the site and simply scroll away. Currently, Cats vs Cancer donates proceeds to educators and family members battling cancer through the Vickie S. Honeycutt Foundation. However, the site's recipient will change each month, and fans will have the opportunity to make recommendations. "We realized that anyone you meet in life, could probably tell you a story about how cancer affected them in some way. It's not something that you find people a few steps removed from," says O'Connor. Though the site is less than a month old, and their company currently consists of just six people, Peña tells Bustle he sees Cats vs Cancer going far. To their knowledge, they are the first IRS-certified non-profit who's sole purpose is to raise money for charities simply through capitalizing on their site's popularity. “We want to become THE cat-focused entertainment destination on the web. And by doing so, we will also take reign as the coolest, most fun, and entertaining charity on the face of the planet," says Peña. Not surprisingly, Cats vs Cancer is already garnering attention from major cat brands, and they've been in talks for partnerships that will hopefully increase the amount of good the site can do. "Overall, people love the idea and really want to help it become a success. The best way to help us is simply to come back to our site often and share content with friends! That's the way this awesome idea will be wildly successful in raising money to battle cancer," Peña says. So click away, and know that the extra hour you spent on cat videos just donated a chunk of change to a good cause. Now THAT makes us feel all the feels.